CBOX OpenLab invitations include invitations to join any group (course, project, club, or portfolio), join the site, etc. The invitation templates and functionality are controlled here. 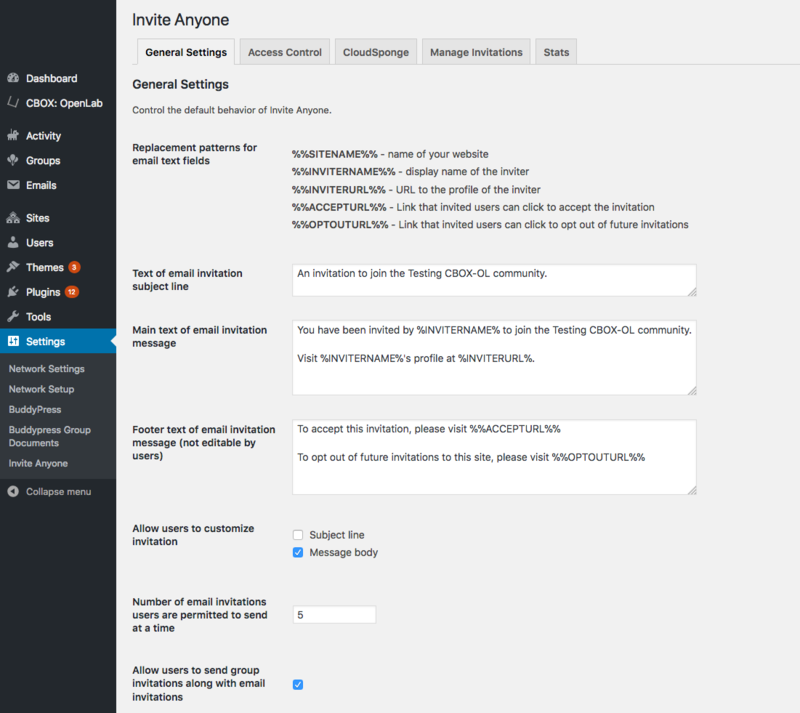 If you click on Invite Anyone you are taken to the network settings for the Invite Anyone plugin. This plugin controls the invitation process for a CBOX OpenLab installation.